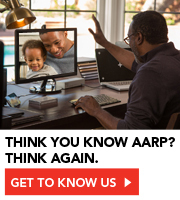 Take the new AARP Smart Driver Course! 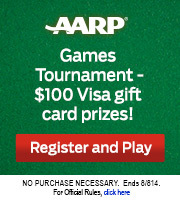 Learn how AARP Driver Safety can help you stay safe—and enter for a chance to win $1,000. See official rules. En español l You might think your medical costs will be taken care of once you qualify for Medicare. But you'll quickly find that you're still paying out of pocket, and probably paying much more than you expected. Fidelity Investments, which has been tracking retiree health care costs for more than a decade, estimates that a 65-year-old couple retiring this year will need $240,000 to cover future medical costs. That doesn't include the high cost of long-term care. Nor does it take into account additional costs you may incur if you decide to take — or are forced into — early retirement before your Medicare kicks in. Fidelity's estimated $240,000 includes the cost of deductibles and copayments, premiums for optional coverage for doctor visits and prescription drugs, out-of-pocket expenses for prescription drugs, and other expenses that Medicare doesn't cover, such as hearing aids and eyeglasses. Younger spouse losing health insurance, now what? Part A covers inpatient hospital costs, stays in skilled nursing facilities, home health care visits and hospice care. Most beneficiaries pay no premium for Part A, but there is a deductible of $1,184 this year for inpatient hospital stays. Part B, which covers doctor visits, outpatient services, preventive care and some home health visits, does charge a premium, and in 2013 the standard monthly premium is $104.90 — or $1,258.80 for the year. The deductible is $147. Part D, the drug plan that had more than 32 million beneficiaries enrolled in 2012, charges an average monthly premium of about $40 — or $480 a year. Put it all together and you're looking at $3,069.80 a year for basic Medicare coverage, assuming you meet your hospital deductibles. And unless you stay out of a hospital altogether, you will meet the deductible. 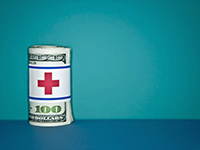 The average cost of a hospital stay in 2009, according to the federal Agency for Healthcare Research and Quality, was $2,000 a day, and the average stay cost $9,200. Even if these were the only health care costs you incur, in 10 years your annual spending would be $30,698 at today's prices, and higher if health care costs continue to rise faster than the cost of living. Given the news from the Employee Benefit Research Institute that 60 percent of workers report that they or they and their spouses have saved less than $25,000 for retirement (excluding the value of their homes and pension plans), it's going to be a tight squeeze for many retirees. Pat Fero, who lives in Sun Prairie, Wis., already knows what that feels like. A 63-year-old former high school English teacher, Fero has diabetes and severe osteoporosis, for which she takes the prescription drug Forteo. In addition to the cost of Part D premiums, Medicare recipients may find themselves paying more if they reach the so-called doughnut hole. Here's how it works: Once total retail drug costs under the plan exceed $2,970 (in 2013), those with Part D start paying 47.5 percent of the cost of brand-name drugs and 79 percent of the cost of generics until the costs of that and other drugs reach the cap of $4,750. There is no generic version of Forteo, so for the four months she was in the gap in 2012, Fero paid $569 a month for the drug. When she reached her doughnut hole limit, her payments went back to $55 a month. Members save up to 60% off eye exams and 30% off eyeglasses at Pearle Vision. 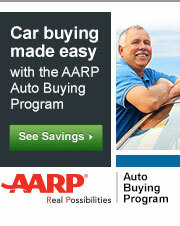 Members get a free Rx card from AARP® Prescription Discounts provided by Catamaran. Members can get exclusive points offers from Walgreens and Duane Reade. 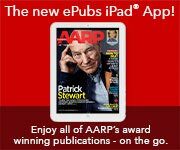 Caregiving can be a lonely journey, but AARP offers resources that can help.